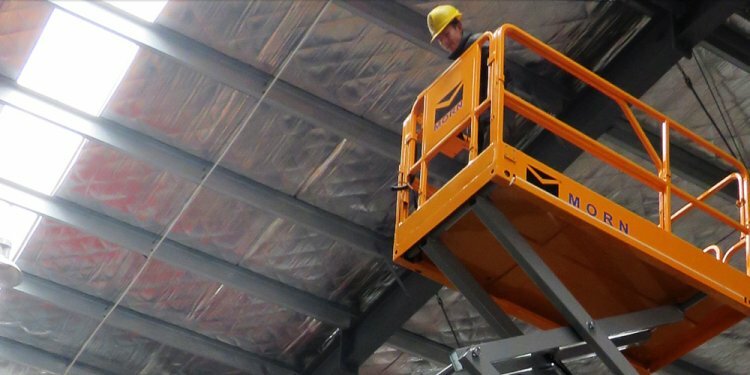 A scissor lift table is used to raise or lower heavy loads. Some models are wheeled for easy movement. These devices are generally found in materials handling, production, assembly, construction and other industrial settings. The lift consists of a platform supported by a scissors system. This can be single, double or triple, horizontal or vertical. The operation of the various elements is coordinated to produce a smooth, level ascent or descent. It usually operates via a hydraulic cylinder. In the smallest models, this is activated by a foot pump. Larger versions use a hydraulic system powered by an electric pump. Choice will depend on the weight and dimensions of the load, the maximum vertical travel of the lift and the duty cycle in lifts per hour. Another factor is the operating environment, which may be exposed or enclosed, or involve contact with corrosive products.